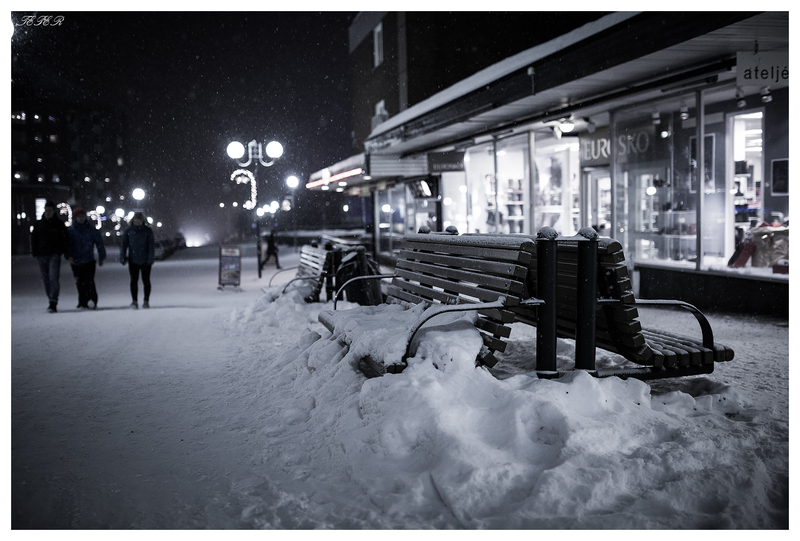 Early afternoon in the center of Kiruna. In the winter, the polar night dominates. There is only 1-2 hours of twilight. Kiruna, Arctic Sweden.